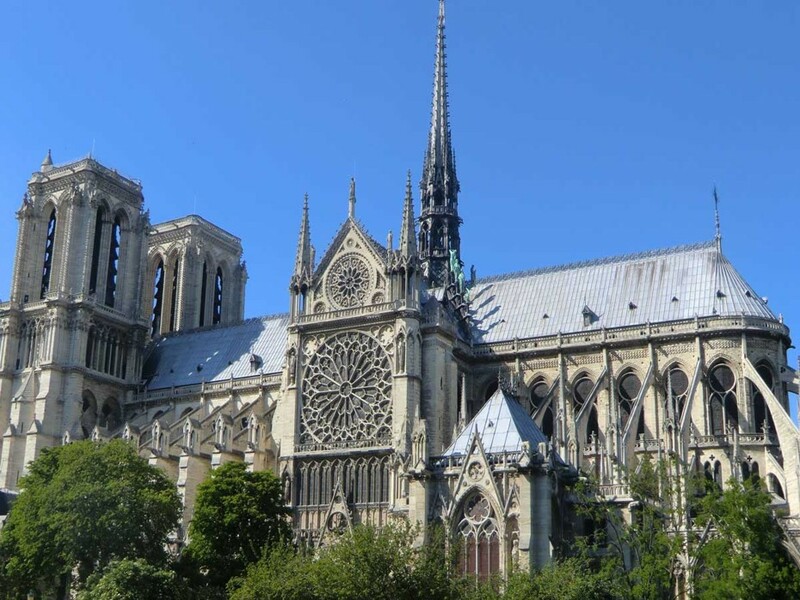 Now here we go with our best of Paris impressions, considering the … let me call it specifics of a cross-generational group. I’m thinking of: one can’t walk fast, another gets sick in the bus, some don’t speak outlandish … thinks like that. 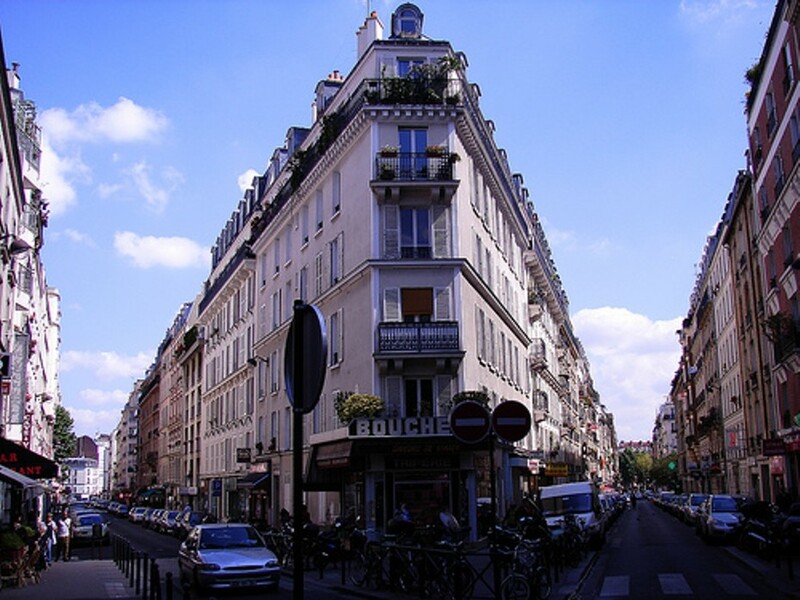 But at first: Paris is great to manage independently. I mean without stressful guided tours following tight schedules. Public transportation (Metro, busses) is pretty good, timetables and routes published at all stations and inside the busses. Hence you can’t go wrong nor get lost. As usual we are taking busses as this takes some more time (= relax time) and you see more of the city than at the tube. 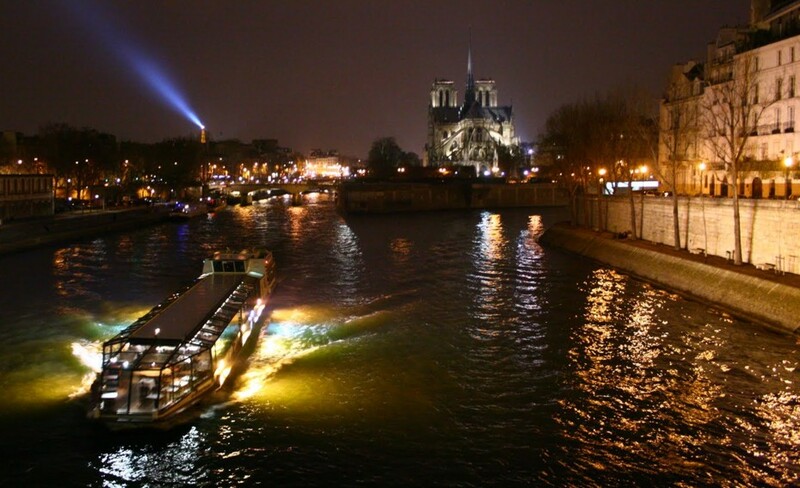 Using multi-day tickets Paris Visite is suitable for 2, 3 or 5 days (see tour details). Once validated, you can use all public transport within the given term thus avoid further costs and the run for tickets all the time. 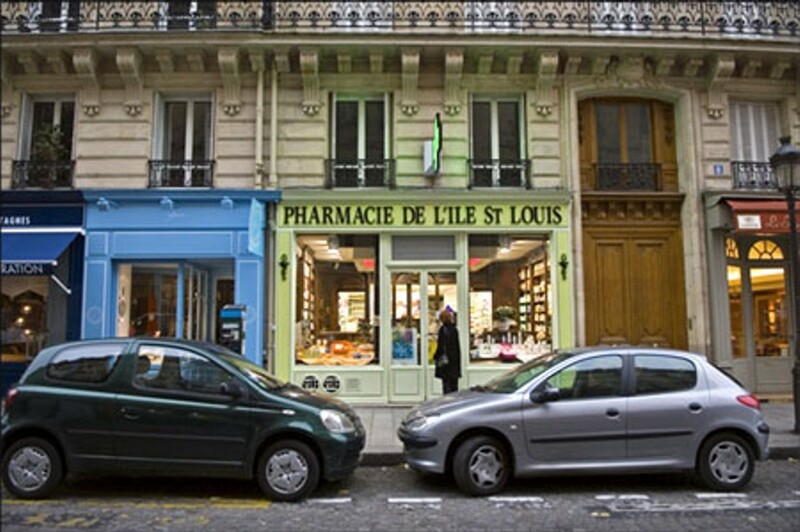 Another info to ease traveler’s minds: You don’t have to talk fluent French to survive Paris. In fact there’s no problem not to speak French at all. Communication in English was possible at all times, even with bus drivers and sales assistants. Good to have hands and feet and facial expressions with you for hardly probable worst cases – and nothing goes awry. So also in this respect is Paris much better than France’s reputation. Day 1: Arrival, move-in and filling the fridge last til the early afternoon. 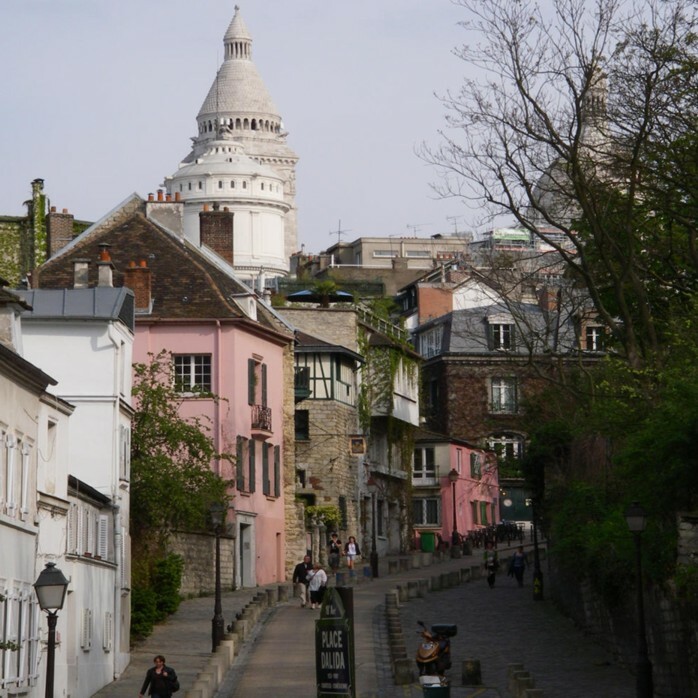 Time enough to discover the near surroundings at our residential quarter of Montmartre before, in the evening. we call upon bus no 80 to take us directly to the Eiffel Tower, what is a 20 min ride. But no, that’s not our place to be for tonight even if it twinkles and sparkles invitingly in the nightfall. We have some better plan! 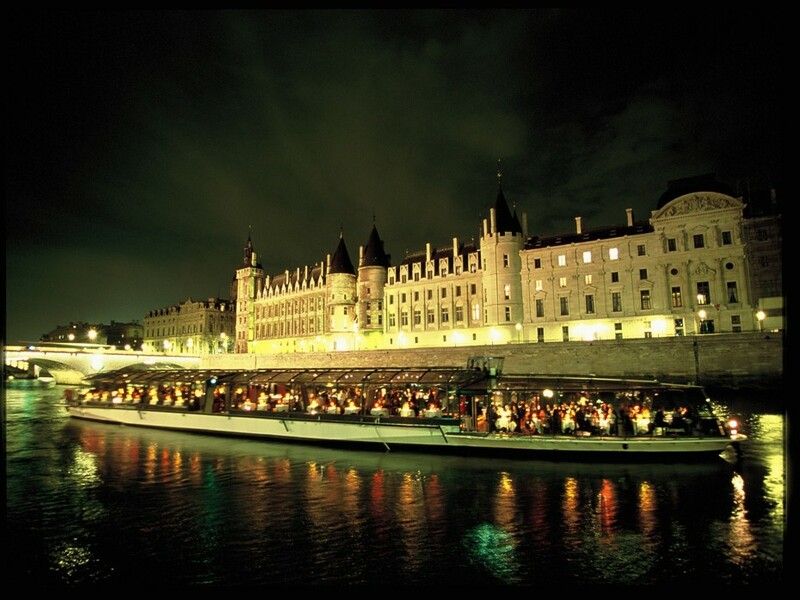 Here at the banks of the Seine river is the pier of Bateaux Parisiens who offer dinner cruises on the river. We thought it may be a good idea to have a stylish dinner while getting a first impression on the city as well as the location and distances of its sights. 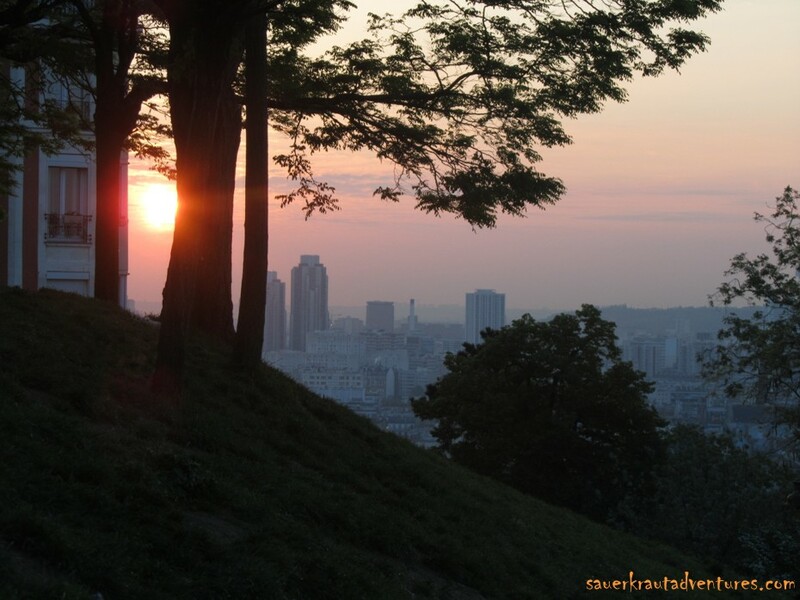 On the whole it has been a nice evening although I could not deeply recommend it. Not sure if the price of 75 EUR for each is worth the experience. To attend a simple cruise plus extra dinner at a restaurant ashore might be an alternative. Further make sure the dinner cruise boats are completely glassed, no open space, fairly inappropriate for taking photos. Bother! We start into day 2 after opulent breakfast at home. The bus takes only 15 minutes to the Louvre, our starting point for today. 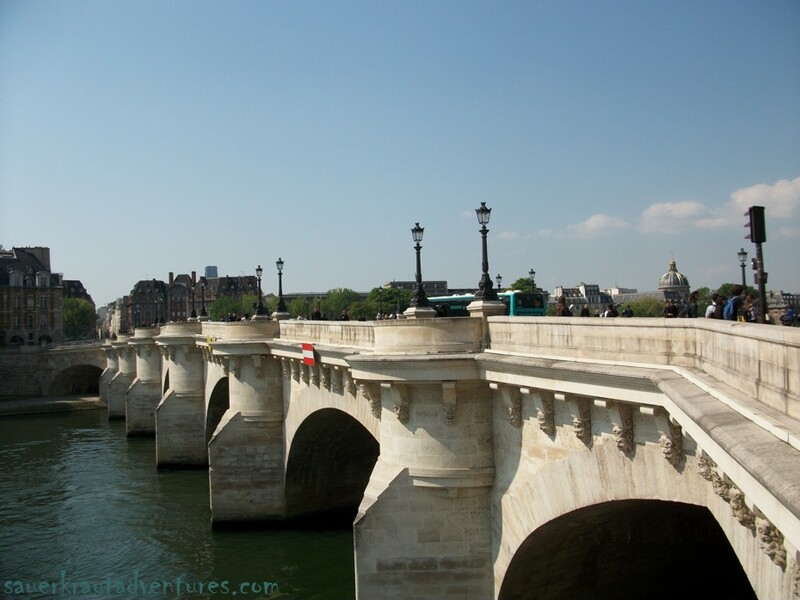 From here we walk to Pont Neuf, access to the Ile de la Cité. Noteworthy here the Palais de Justice with its chapel Sainte Chapelle (long wait), the Marché des Fleurs (flower market) and, of course, the Cathédrale Notre-Dame. 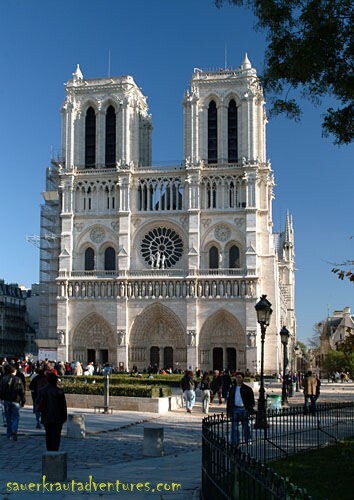 We visit the cathedral but decide against climbing up the 70 m high north tower (outside left from the main entrance) because of long wait. 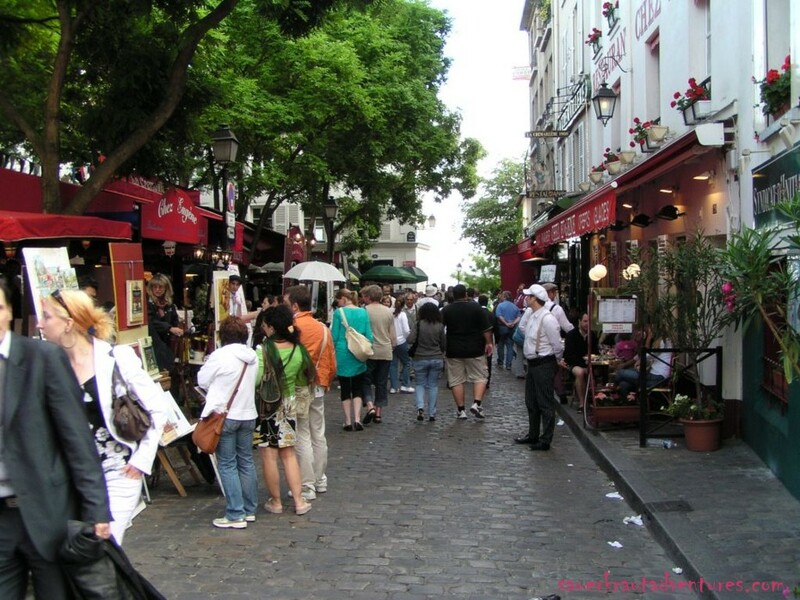 Much more relaxed and charming acts the adjoining Ile Saint-Louis, the smaller of both islands. 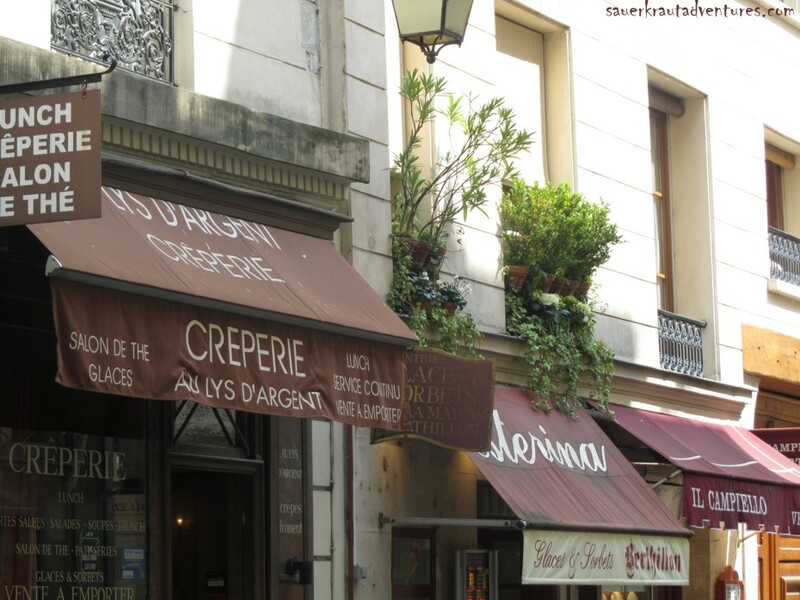 Between small shops, cafés and bistros it makes you forget you are at the urbs. 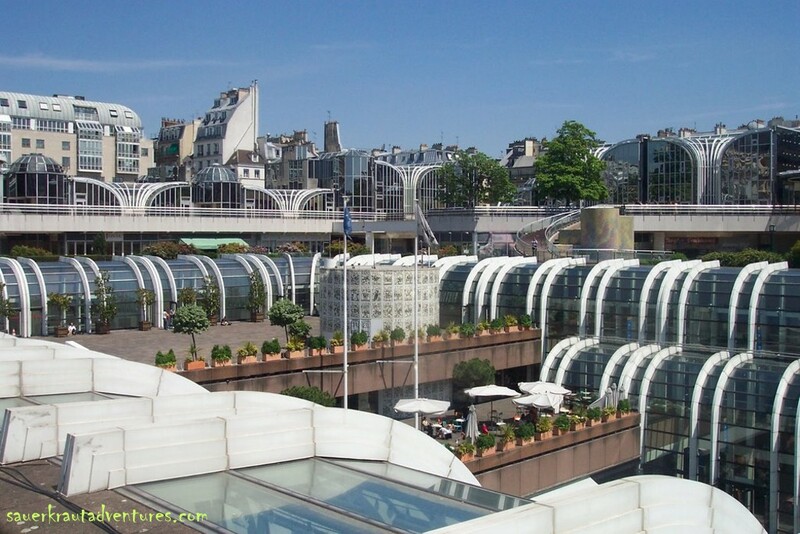 That changes dramatically if you take the bus to Centre Pompidou and onwards to Forum des Halles. I confess we were a bit in shopping mood – but didn’t like it here. 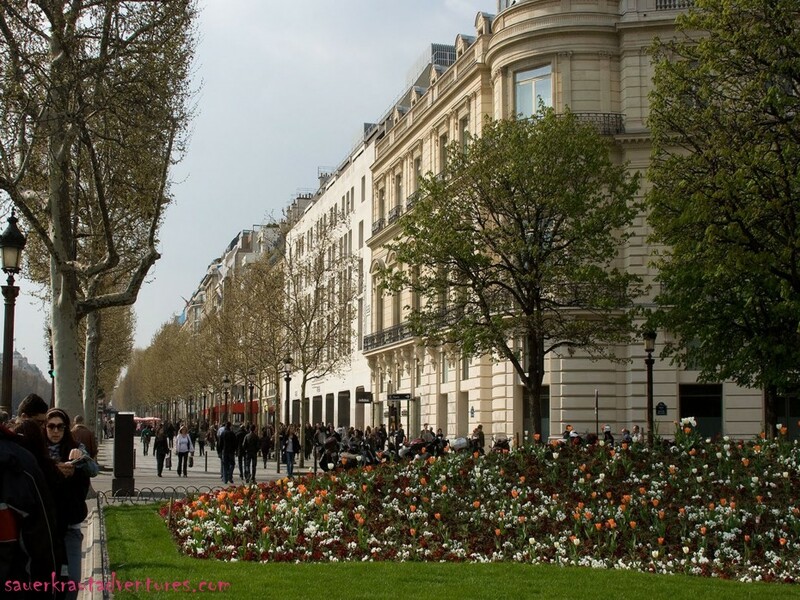 We only thought it’s a must-go-to in Paris… Finally we found much better opportunities along Rue de Rivoli (within walking distance) what leads us back to the Louvre at the same time. On day 3 we aim high. 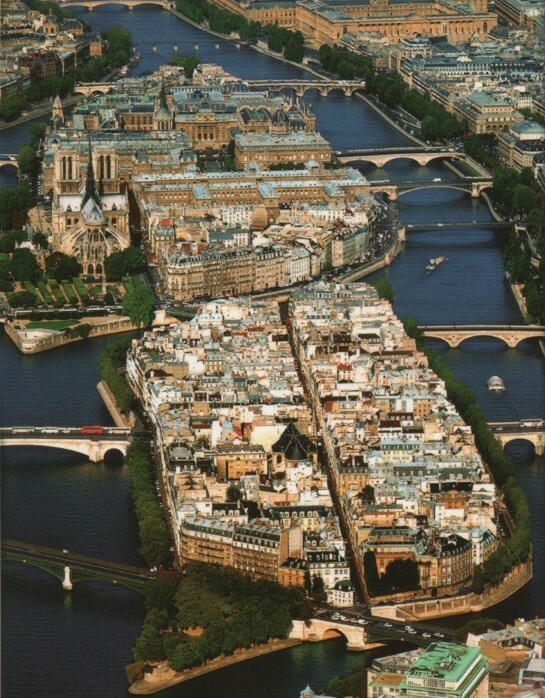 Again we start at the Louvre from where we cross the Seine river into St-Germain-des Prés. 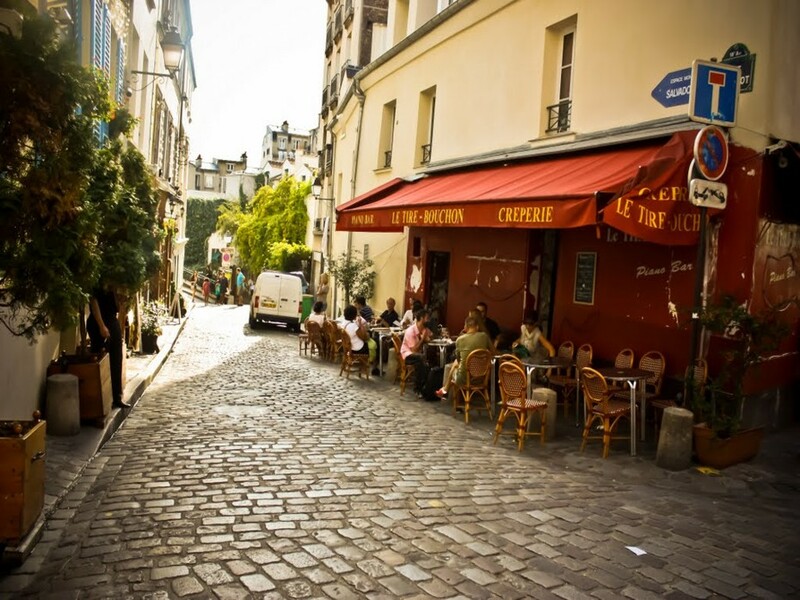 The ancient quarter of Parisian avant garde feels calm and cosy on that Sunday morning and small backstreets attract with small, individual stores. 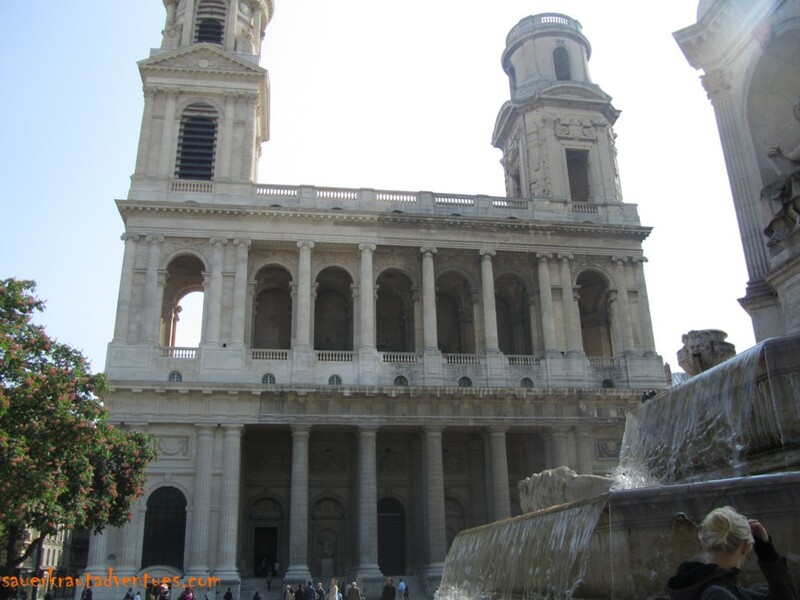 Impaired by the “Da Vinci Code” we can’t avoid visiting the church of Saint-Sulpice (to ascertain there’s no Rose Line at all. But a meridian line instead – cool story, find out!). 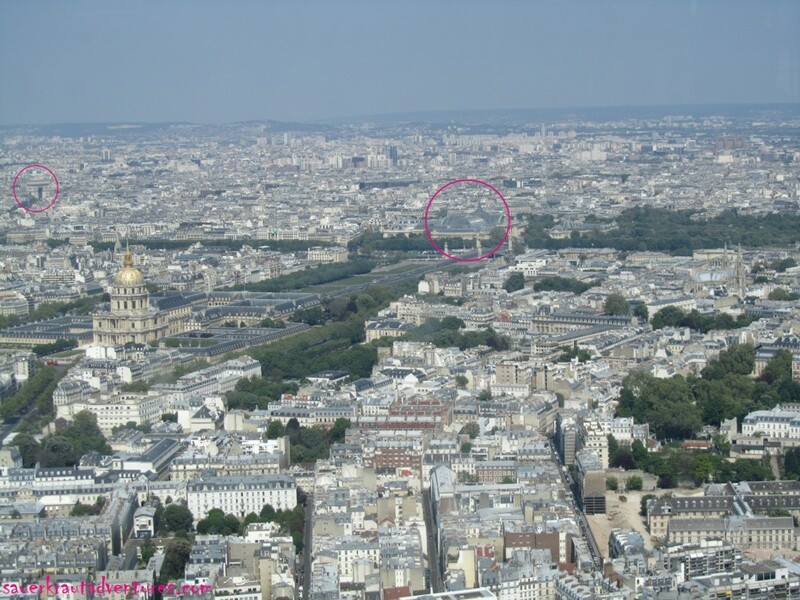 From here we go ahead to the Montparnasse Tower what takes a 40 minutes stop & go for the purpose of window shopping ;). 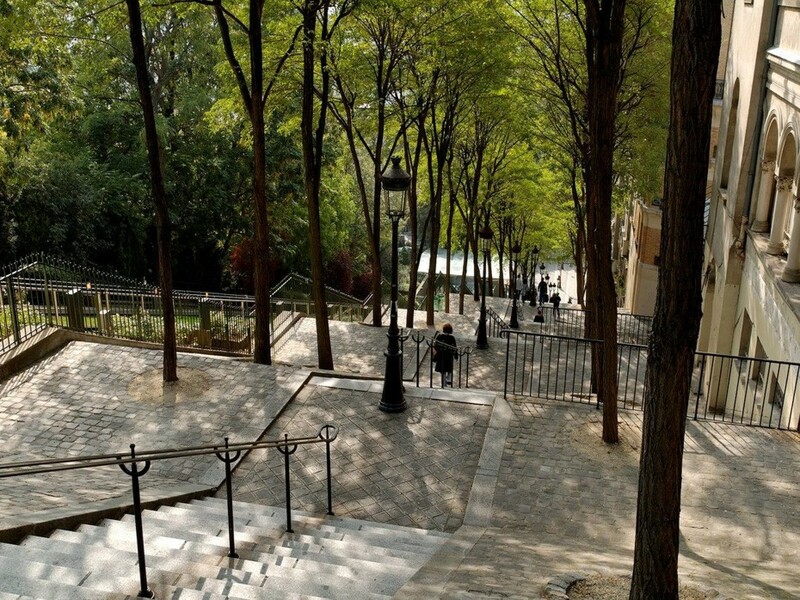 Those who like may make a detour through Jardin du Luxembourg, a huge public park and `school yard’ of the famous Sorbonne University what is close by. 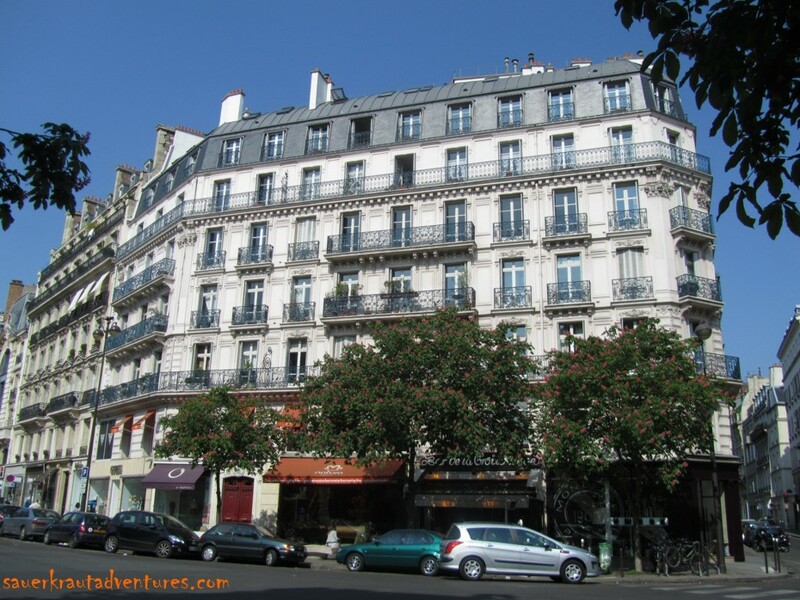 By the way … those who love to visit places (mostly cafés) with historic backgrounds due to the fact that the high society of arts, culture and philosophy was debating here, those are perfectly right in St-Germain-des-Prés. 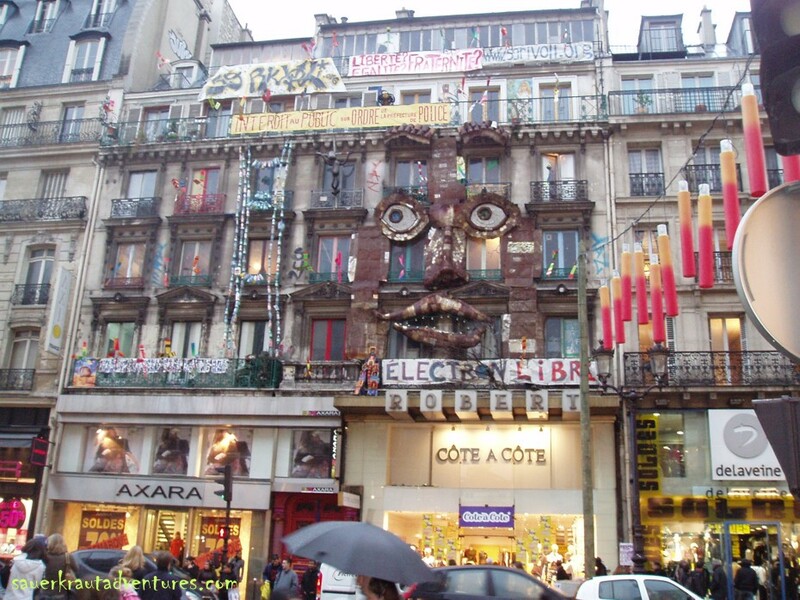 Balzac, Sartre, Beauvoir, Baudelaire, Camus, Miller … go search for traces. 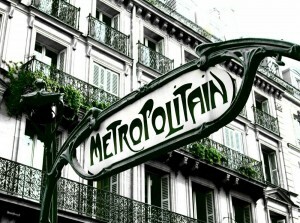 Okay, back to the Montparnasse Tower. 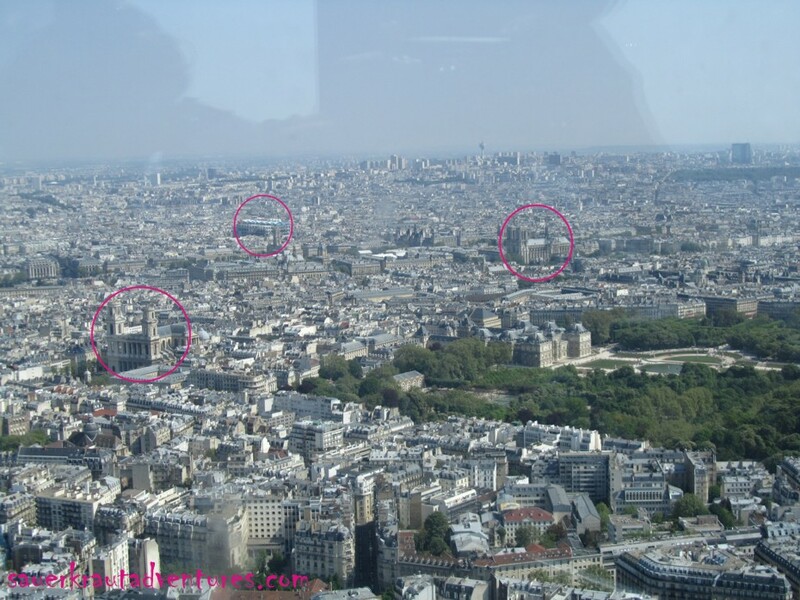 If you don’t have to be on the Eiffel Tower obligatory, I recommend to climbing up Tour Montparnasse for a bird’s eye view of the city. 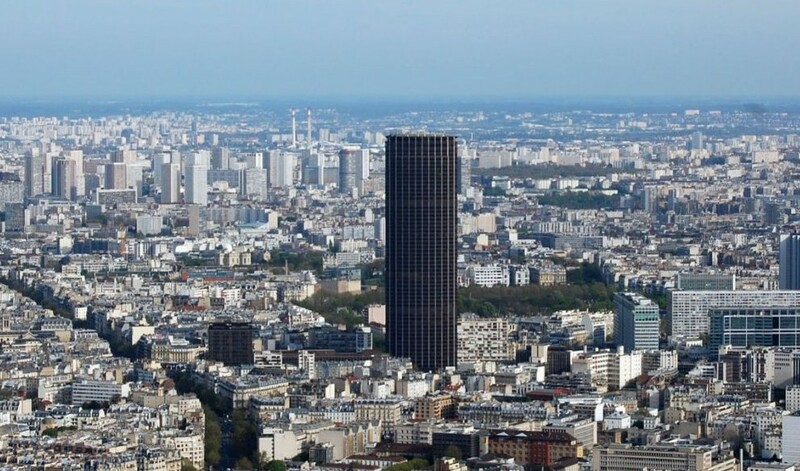 The 210 m high tower is the only skyscraper in Paris thus hardly missable. 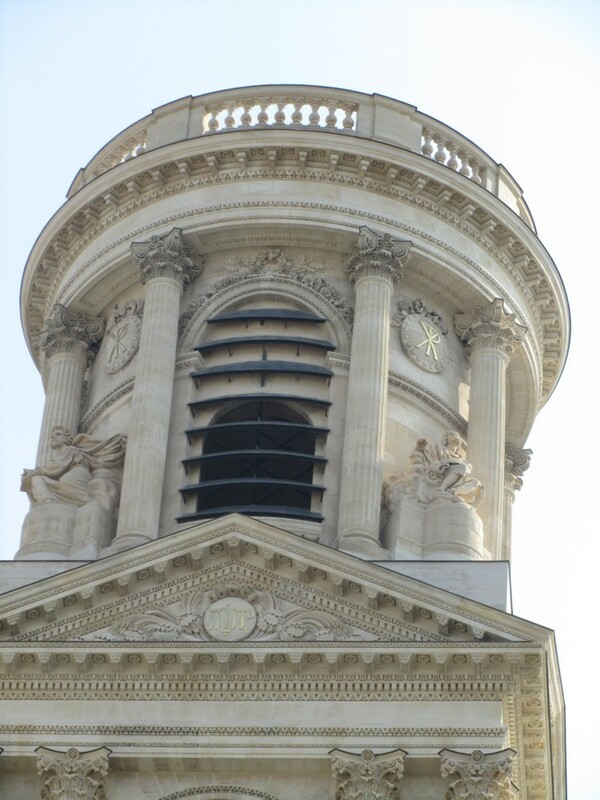 Floors 56 and 59 are open to public, granting a spectacular 360° view of Paris. 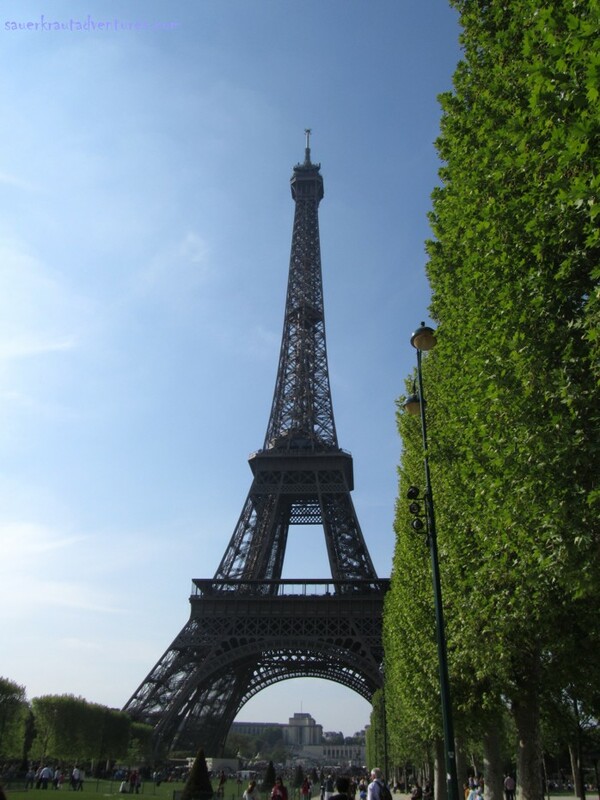 The relatively low entrance fee as well as minor rush of visitors (compared to the Eiffel Tower) gets our thumbs-up. 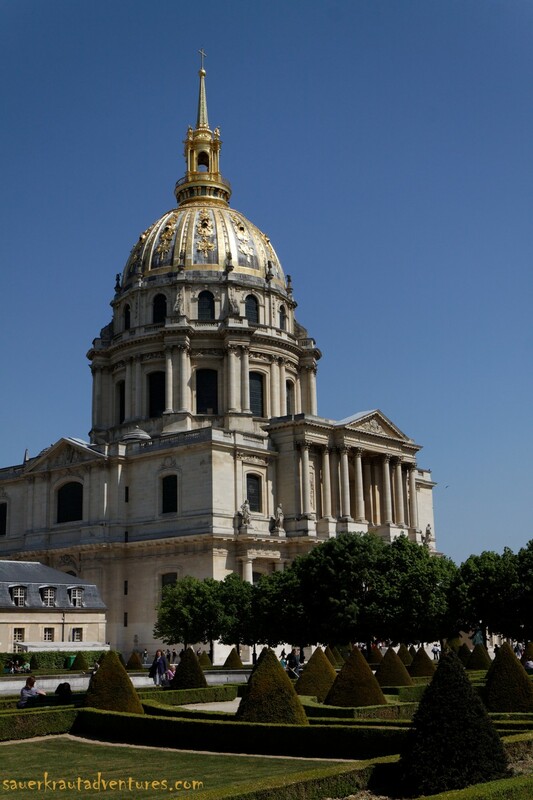 From here we walk on to the Dôme des Invalides. It is 2 stops apart, you can also take the bus. Now here … hmmmm. do it or leave it. 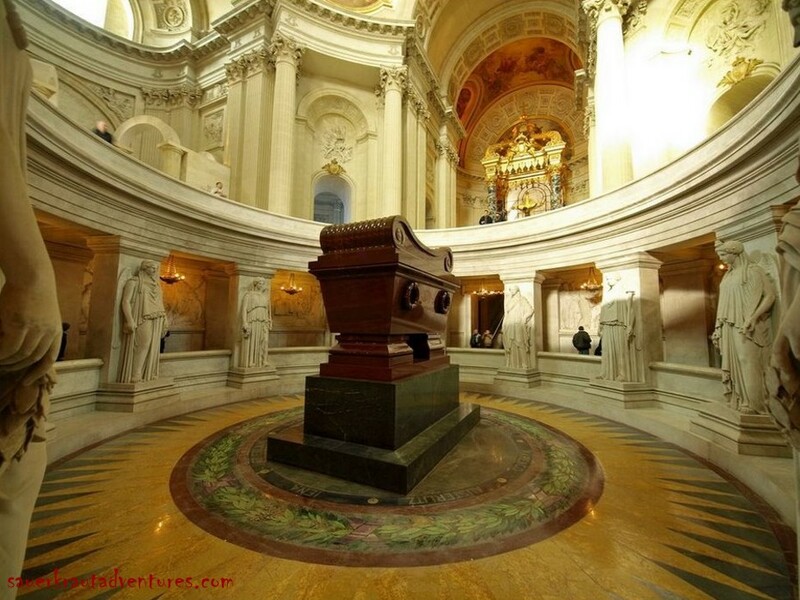 The tomb of Napoleon, I know. Up to you. If you get enthusiastic about historic battles and military stuff, go in definitively. For anybody else: think twice. Anyway, it’s on the way tooooo theeee Eiffeeeel Tower! No visit of Paris without this madness! So dive into the masses of lovers, photographers and Algerian cheapjacks and who can’t stop doing it: invest (or waste) a few hours in queueing and money to in going up. I can’t share this experience, we haven’t done it. And somehow we don’t miss anything. Not even our wallets. What a lucky escape! A new day have been started very early by parts of the family. 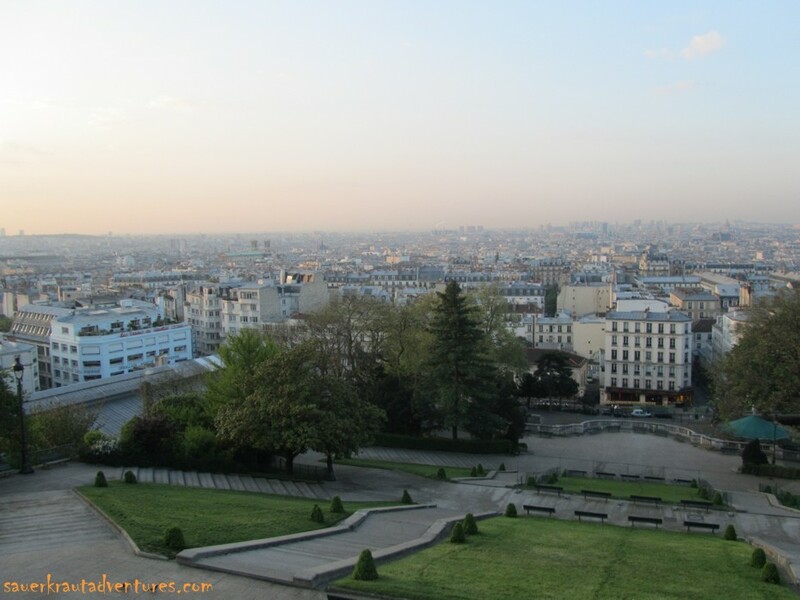 Since we live sooo close to Sacre Coeur from which you have suuuch a nice view of Paris – we have to be there for sunrise. What should I say? It was amazing! Another advantage: Once being there you can seize the opportunity to visit the church in the early morning. As at 7 am you only meet a flock of scavengers. No visitors, dead calm. 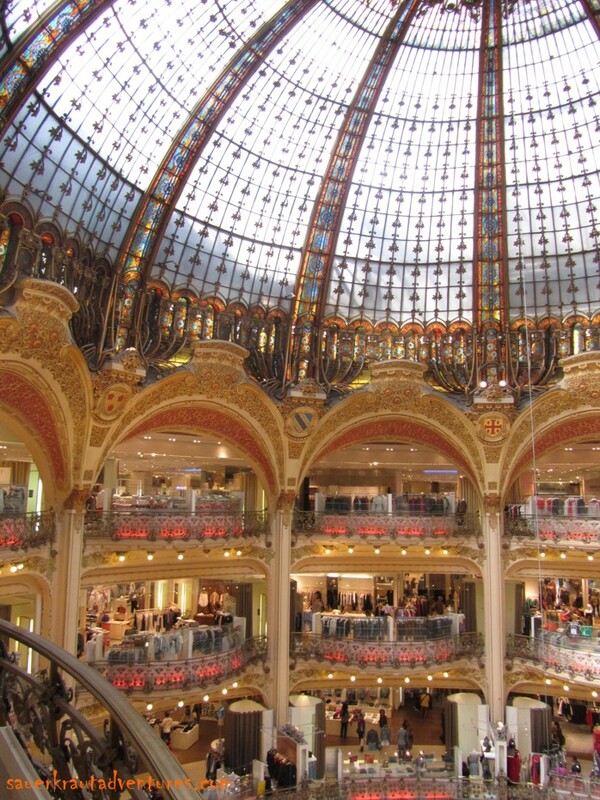 That changes tremendously when we later go to the Galeries Lafayette. From my point pretty inappropriate for standard shopping, amazingly huge, crowded and quite expensive. From the architectural point of view, however, absolutely lovely. 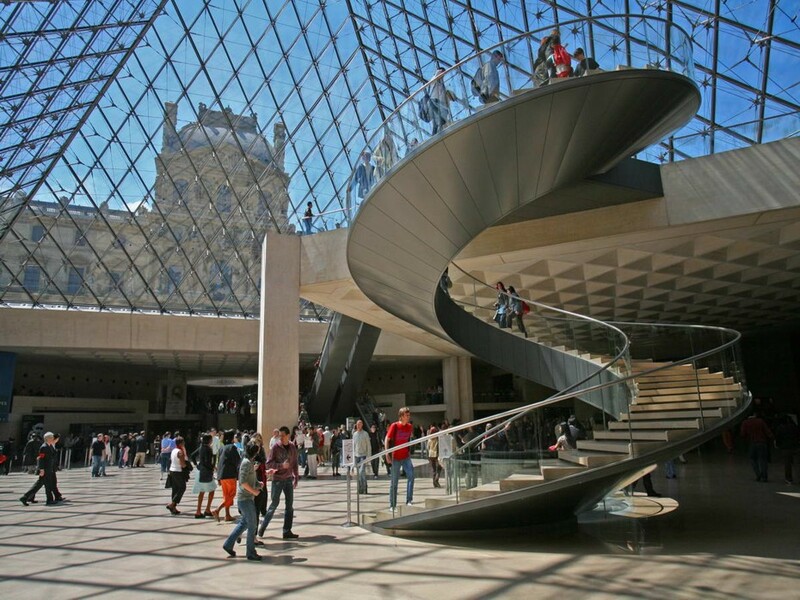 But we wanted to just waste some time anyway, as for the afternoon, we finally have the legendary Louvre on our schedule. I mean a part of it. A very small part ;). Who will (like us) avoid long waits for the entrance ticket may read the tour details. To make it short: This complex is amazing! Great atmosphere and far too much to see. So please make up your mind what to see BEFORE you enter – that also defines the length of your stay. 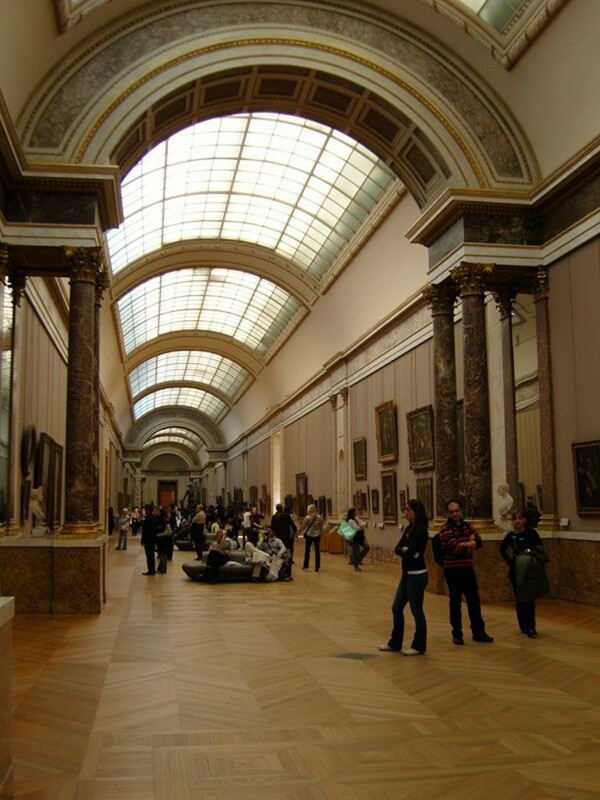 We go for the classics: The Grande Galerie at the Denon wing of course, the expo about the Louvre at the middle ages and the sculpture collection. In total about 4 hours – a very small part of what is on offer. 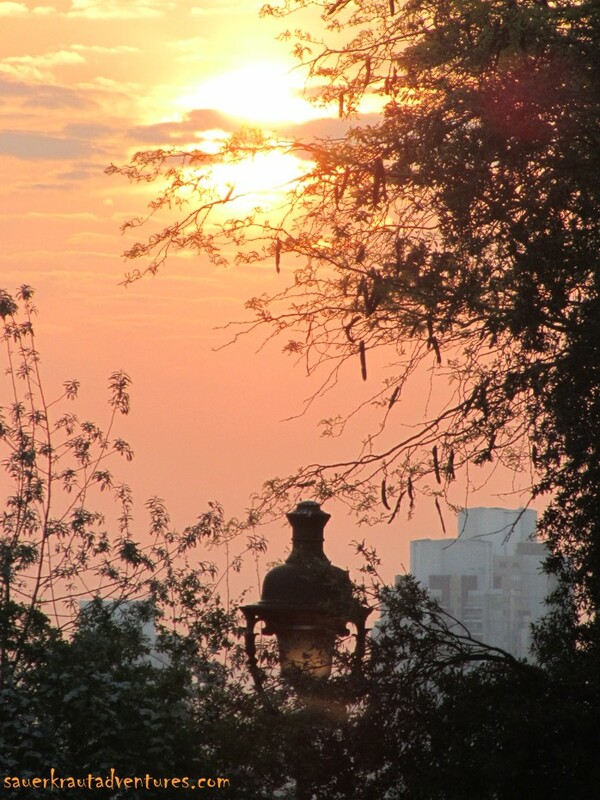 The evening fades away as the morning begun: relaxed. 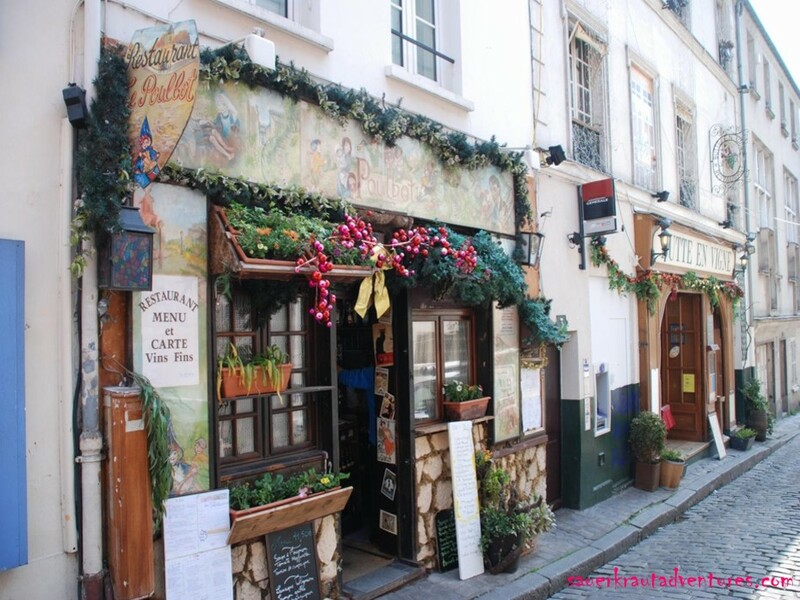 We indulge in having dinner at the Place du Tertre on the hill of Montmartre (watch out the prices here!!!) 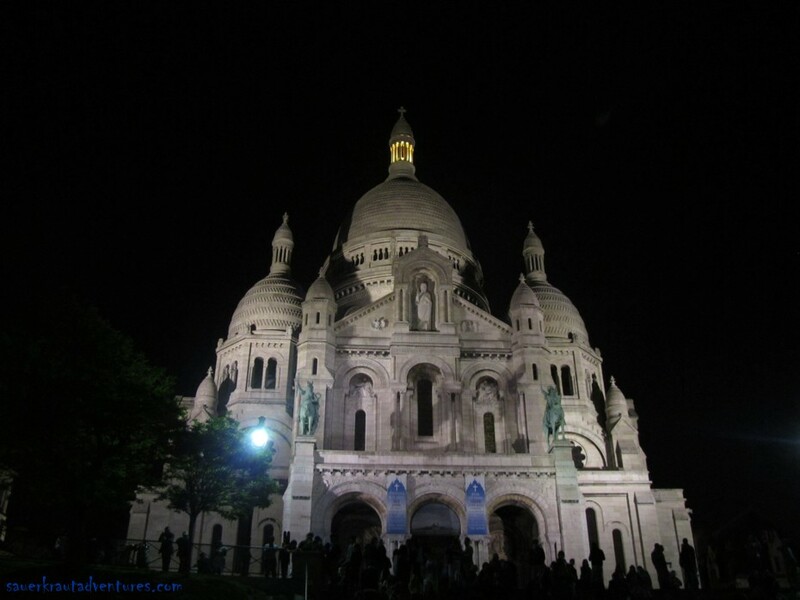 and later heading toward the stairs at Sacre Coeur, place for ultimate night life. Here one can find street music, friends for a lifetime, and adherents for an alcoholic dead loss. Party until the scavengers takin’ over at 6 am. Our last day in Paris will be spent remarkably relaxed. 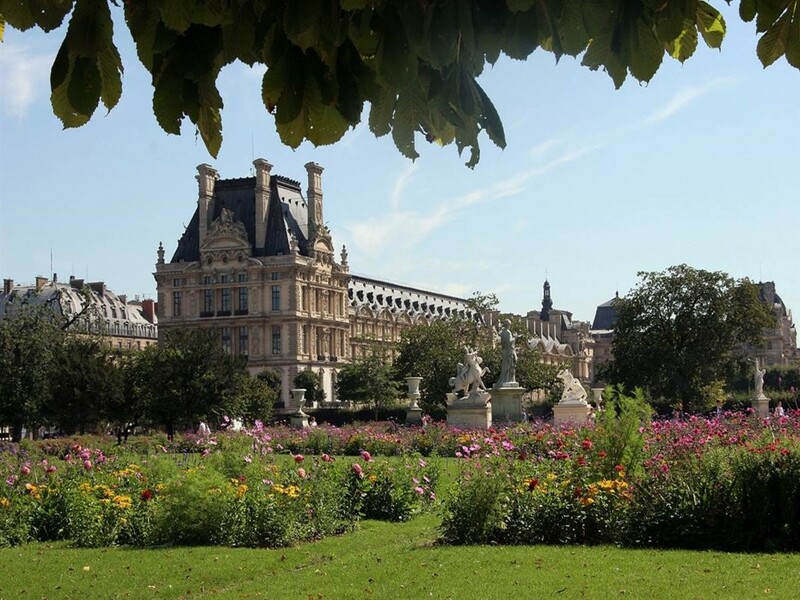 The late morning, we stroll along the Champs Élysées to the Tuileries (Jardin des Tuileries). 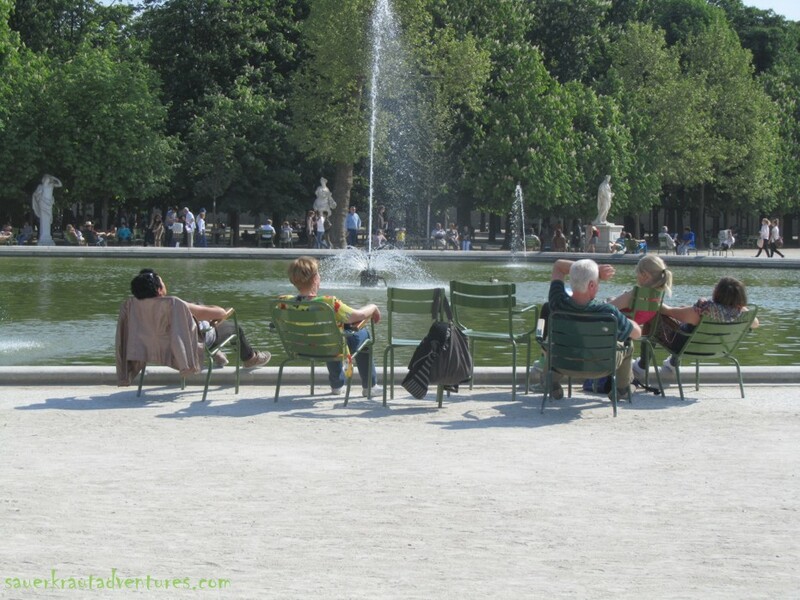 We swoop for some deck chairs (what you find in all Parisian public parks by the way) and catch some sun, feet in the fountain. 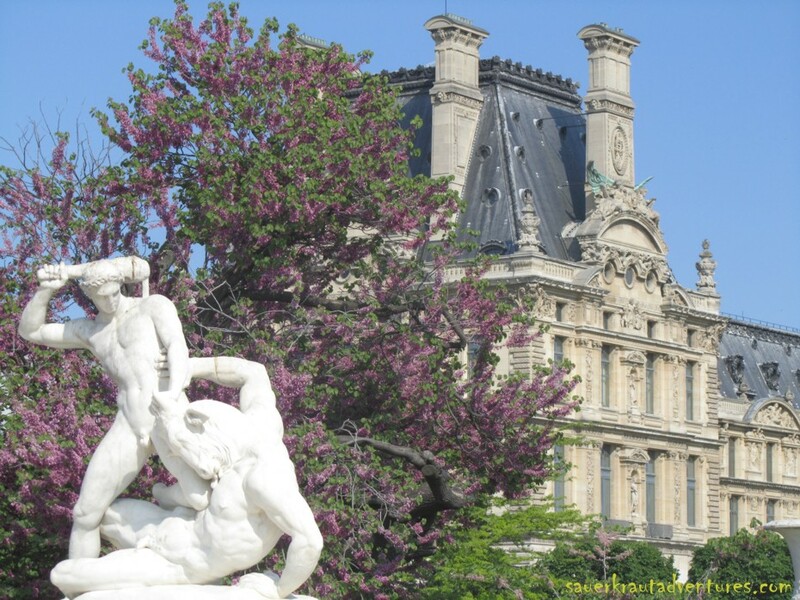 The Tuileries are gorgeous these days, everything’s in full bloom, and we absolutely enjoy the sensual eruptions of spring. 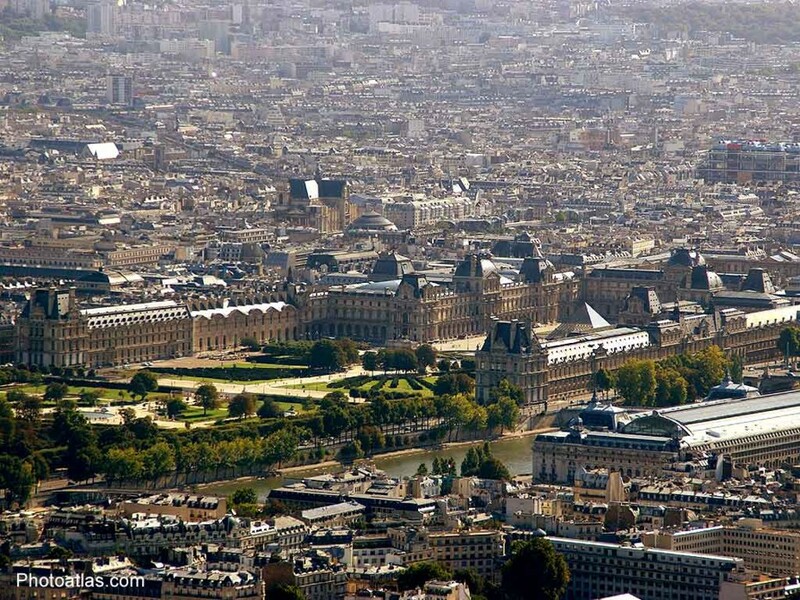 On the other end of the park is le Louvre – a unique view. 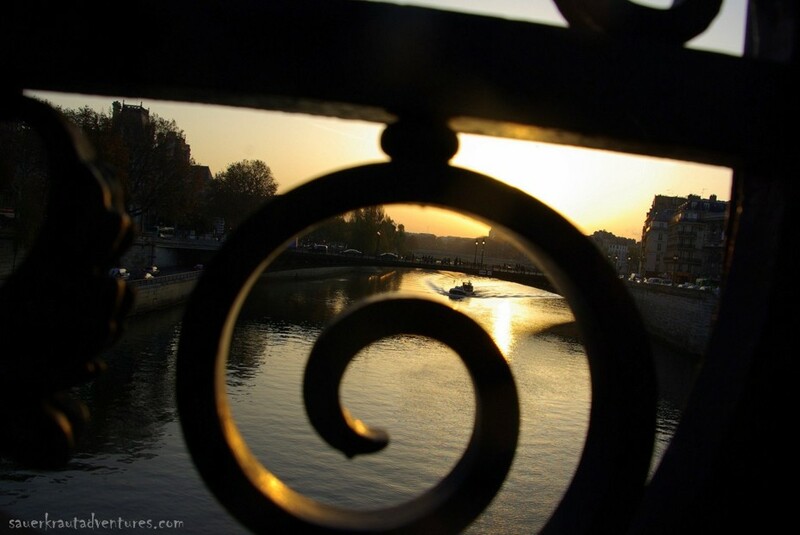 After long time and chats in the sun each of us goes making some errands before we go one last time to the Louvre area when sun sets. 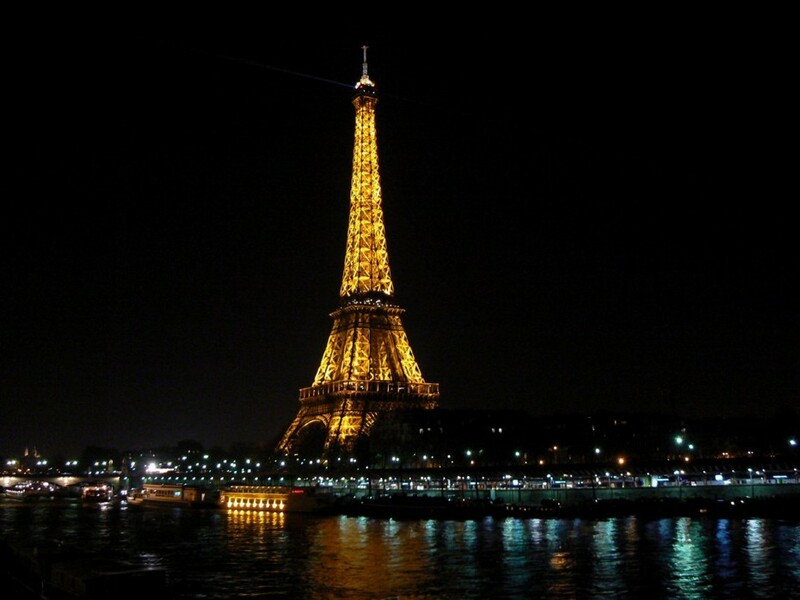 From our point of view the most beautiful place at night when everything is illuminated. Amazing! Tomorrow, unfortunately, we have to go back home but for now, we all are more than happy with the last days. We’ve seen so many places and had a great and enjoyable time (considering miles and miles we’ve walked). Sure, there’s so much left to see – but the way we’ve spent the last 5 days it was a perfect first time. Au revoir Paris, see you again!